When the blood pressure drug Bystolic hit the market in 2008, it faced a crowded field of cheap generics. So its maker, Forest Laboratories, launched a promotional assault on the group in the best position to determine Bystolic's success: those in control of prescription pads. It flooded the offices of health professionals with drug reps, and it hired doctors to persuade their peers to choose Bystolic — even though the drug hadn't proved more effective than competitors. The strategy worked. In the 2012 fiscal year, sales of Bystolic reached $348 million, almost double its total from two years earlier, the company reported. Now, data obtained and analyzed by ProPublica suggest another factor in Bystolic's rapid success: Many of the drug's top prescribers have financial ties to Forest. Nearly all those doctors were again among the highest prescribers in 2011, the most recent year for which Medicare data are available. Forest began disclosing its payments only last year; the company didn't specify which drugs doctors spoke about. Dr. Bernard Lo, who was chairman of a national panel examining conflicts of interest in medicine, said he doesn't believe the findings are coincidental. Below are the top 20 prescribers of the blood pressure drug Bystolic in the Medicare prescription drug program in 2010, as well as the speaking fees they received from maker Forest Laboratories in 2012. Forest only began reporting such information last year. Some of the prescribers below also may have received meals, educational items or travel expenses from the company. * The prescriptions attributed to Hew Wah Quon include 1,396 attributed to the doctor himself and 594 credited to his medical practice. When there's no evidence a drug is better, "You have to question: Why are doctors prescribing this?" said Lo, president of the Greenwall Foundation, a New York City nonprofit that funds bioethics research. "What your evidence suggests is that there is a financial incentive for doctors who receive payments from drug companies" for pitching their products. Until now, doctors' prescribing habits have been secret from all but pharmaceutical companies, which pay millions of dollars for such information from other firms that collect it. ProPublica's analysis marks the first time anyone has matched payment data made public by drug companies with physician prescribing records from the Medicare drug program, which covers about 1 out of every 4 prescriptions in the U.S.
Reporters identified the drugs that were most actively promoted to doctors in 2010 and 2011 using rankings from Cegedim Strategic Data, a company that tracks marketing expenses. The top prescribers of some of these drugs, in addition to Bystolic, also received speaking payments from the companies that made them. As a group, these heavily marketed drugs were new or had new uses, were expensive and often showed little benefit over existing medications or generics. For example, 9 of the top 10 prescribers of the Alzheimer's drug Exelon received money from Novartis, the drug's maker. Eight of the top 10 for Johnson & Johnson painkiller Nucynta were paid speakers, as were 6 of the top 10 for Pfizer's antidepressant Pristiq. The same was true for 7 of the 10 top prescribers of the asthma drug Advair Diskus, made by GlaxoSmithKline. One doctor made more than $100,000 from 2009 to 2012. Many of the physicians spoke for several drug companies. If financial relationships influence physicians to choose pricier brand-name drugs that have little benefit over generics, everyone pays the cost – particularly taxpayers, who spent $62 billion last year subsidizing Medicare Part D.
"I've never heard a doctor that said they were influenced, but obviously the companies are interested in doing it because the evidence overwhelmingly suggests that doctors are influenced," said Rita Redberg, a cardiologist at the University of California, San Francisco, and editor of the journal JAMA-Internal Medicine. Companies are "not doing it for any reason except it improves their bottom line," she said. A survey published in the Archives of Internal Medicine in 2010 found that physicians with industry relationships said they were more likely to prescribe a brand-name drug when a generic was available. And federal whistle-blower lawsuits against several pharmaceutical companies have alleged that payments are little more than thinly veiled kickbacks, which are illegal. Companies have paid billions of dollars to settle the cases. 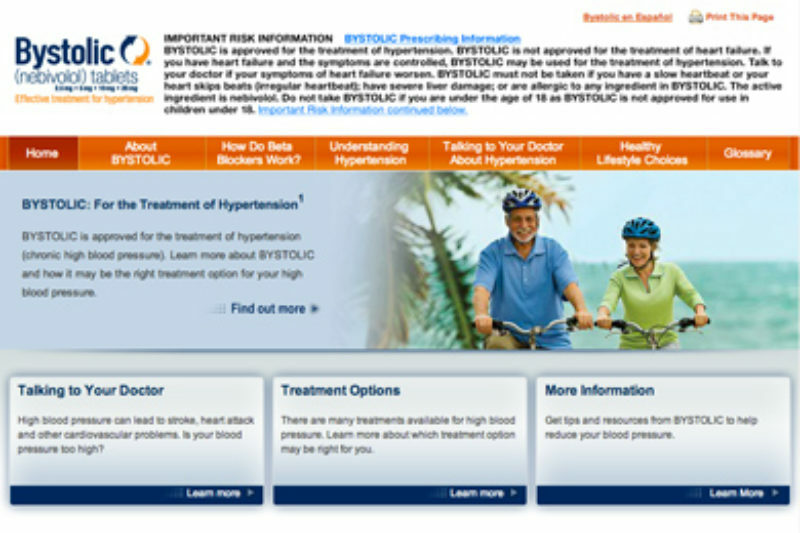 Each of the top 20 prescribers of Bystolic wrote at least 530 prescriptions in Part D in 2010. ProPublica attempted to contact all those who also received money from Forest. Only a handful responded to phone calls, emails and faxed letters requesting comment. The No. 1 prescriber of Bystolic, Los Angeles cardiologist Gary Reznik, said that if patients have blood pressure under control with another beta blocker, he doesn't switch them. But he believes Bystolic is more effective at lowering blood pressure and doesn't cause the slower heart rate and erectile dysfunction of other drugs in the class. "If you don't have to be on a beta blocker, I would not start you on a beta blocker," said Reznik, who was paid $3,750 to give talks by Forest in 2012. "If you have to have a beta blocker, Bystolic would be my choice." Reznik prescribed the drug more than 2,500 times in 2010 and more than 2,900 in 2011, including refills dispensed, Medicare records show. "I have never felt that there were any expectations or pressure on the part of the company that I would prescribe it more or at all," he said. Another top prescriber, internist Mark Barats, of West Hollywood, Calif., said he uses smaller doses of Bystolic to achieve the same effects as higher doses of generic medications. "It has much less side effects, particularly much less side effects on the respiratory system," he said. "I've never seen anything that contradicts what Forest said about Bystolic," said Barats, who was paid $3,750 to speak for Forest in 2012. Dr. Henry Yee, who was paid $5,000 by Forest, said he chooses the drug for many of the same reasons as Reznik and Barats. The cardiologist, whose office is in the Los Angeles suburb of Alhambra, said he learned about the drug from company sales reps and from reading studies. He started prescribing it "even before I started speaking for the company," he added. Yee said he believes drug companies ask him to speak for their products because is an influential specialist in his community. "I think it is most likely because a lot of doctors listen to me," he said. Among the 17 top prescribers with Forest ties, speaking payments ranged from $1,250 to $85,750. Seven doctors also received at least $1,000 in Forest-paid meals. But several prominent cardiologists say no studies have proved that the benefits cited by Bystolic's top prescribers are real. Dr. Steve Nissen, chairman of cardiovascular medicine at the Cleveland Clinic, said he understands why doctors would like to believe that the beta blocker has additional benefits. "Wishing it to happen isn't the same as proving it," he said. 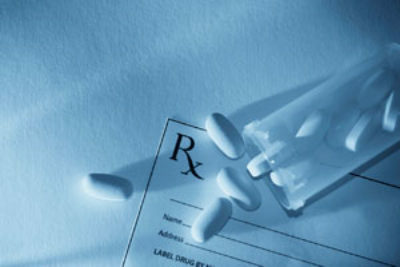 In 2008, the U.S. Food and Drug Administration rebuked Forest for an ad claiming the drug was "novel" and superior to other products. The FDA said the claim wasn't factual. "I don't see any purpose for Bystolic whatsoever," said Eric Topol, a cardiologist and chief academic officer of Scripps Health, a San Diego-based health system. Topol said he doesn't use the drug because it is expensive with no added benefit. "I have no idea how you could come up with a storyline for use of that drug." In an email, a Forest representative called Bystolic "an important treatment option" because it is effective and well-tolerated but didn't assert that the drug was superior. Forest also defended its spending on physician speakers. The company "believes that patients benefit" from paid talks and other initiatives that "enable health care professionals to stay abreast of the latest treatment options available," a representative wrote. Three years ago, Forest paid the government $313 million to settle civil and criminal allegations about its marketing of drugs, among other things. In its lawsuit, the government alleged that Forest made "cash payments disguised as grants or consulting fees, expensive meals and lavish entertainment, and other valuable goods and services" to doctors. Forest denied those allegations despite settling the case. More recently, in a lawsuit unsealed in April against the drug company Novartis, the U.S. government alleged the company's "own internal analyses showed that speaker programs had a high return on investment in terms of the additional prescriptions for its drugs written by the doctors who participated in the programs, both as speakers and attendees, with the highest return arising from payments to doctors as 'honoraria' for speaking." Novartis disputed the allegations. In 2010, the firm pleaded guilty to a misdemeanor and paid $422.5 million to settle allegations that it illegally promoted Trileptal, an antiseizure drug, and paid kickbacks for prescribing it and other drugs. Trileptal isn't frequently used in the Medicare population. Forest, Novartis and other drugmakers said they choose speakers based on their expertise and credentials. Pfizer "explicitly prohibits the selection of speakers based on their prescribing behavior ... any inference to the contrary is misleading," a spokesman wrote in an email. Glaxo and Johnson & Johnson also said they don't choose speakers based on prescribing. The spending by pharmaceutical companies on speaking and consulting fluctuates based on whether they have new drugs or are marketing older ones for new uses. To date, only 16 companies have publicly reported their payments to physicians. All companies will be required to report such payments next year under the Physician Payment Sunshine Act, a part of the broader 2010 health overhaul law. Boehringer Ingelheim Pharmaceuticals, the maker of the blood thinner Pradaxa, began reporting its payments just last month. Pradaxa, introduced in 2010, accounted for more spending on local promotional events than any other drug in 2011, according to Cegedim Strategic Data. Of the top 20 prescribers in 2011, six received speaking fees in the first quarter of this year. Boehringer said it doesn't pay speakers based on prescribing. The physician prescription tallies in this story are from Medicare Part D records in 2010. Recently obtained data for 2011 show similar patterns, however. The prescription counts don't include drugs paid for by other parts of Medicare or for patients with private insurance, on Medicaid or in the Veterans Health Administration system. Some doctors say the drug company money can undermine patients' trust. Nissen of the Cleveland Clinic said: "I don't want the patient sitting opposite to me in the exam room to have to worry about whether I am prescribing a drug because I am being paid by the company that makes the drug." Correction, July 3: The original version of this story incorrectly said the blood thinner Pradaxa accounted for more spending on promotional speakers than any other drug in 2011 and attributed that to Cegedim Strategic Data. Pradaxa actually ranked first for spending on local promotional events, including meeting venue, speakers fees and catering, according to the company, which doesn’t track spending on speakers alone.